So I have been kindly sent some samples from Kirsty from The Body Shop. She has kindly sent me over some cactus blossom body scrub and body yoghurt. I have to say I used them for about 2 weeks after I showered and bathed. I really love them both. 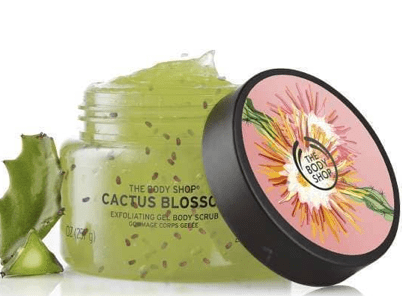 Cactus Blossom body scrub: This scrub is amazing, it’s worked so good for me as an excoriate to remove self tanner. 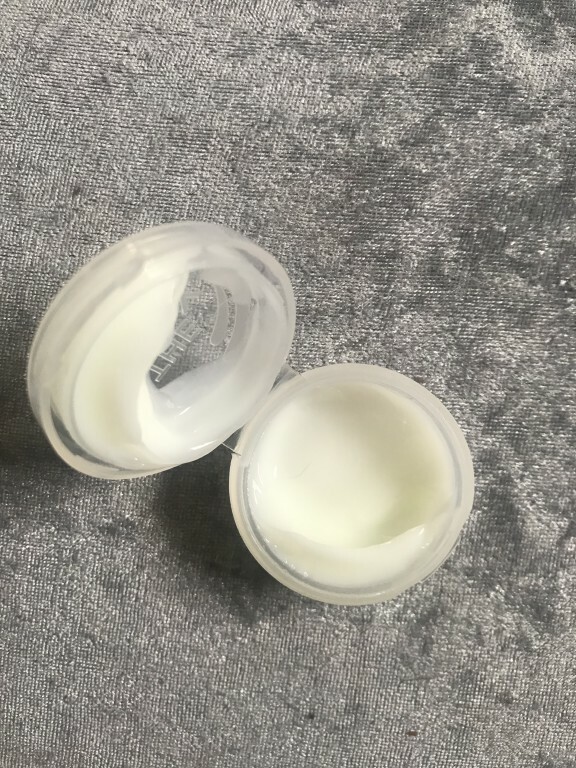 It leaves my skin so soft and the smell is very strong and lingers for days. It has this tiny little brown bits that really scrub your skin. It is Enriched with cactus flower extract from Morocco and Community Trade honey from Ethiopia. It has such a fresh and uplifting fruity scent. 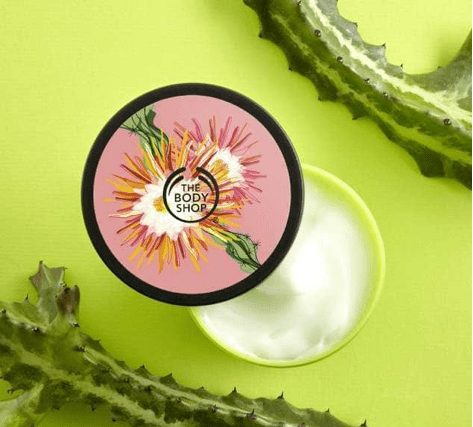 Cactus Blossom body yoghurt: This body yoghurt is very creamy and soft. 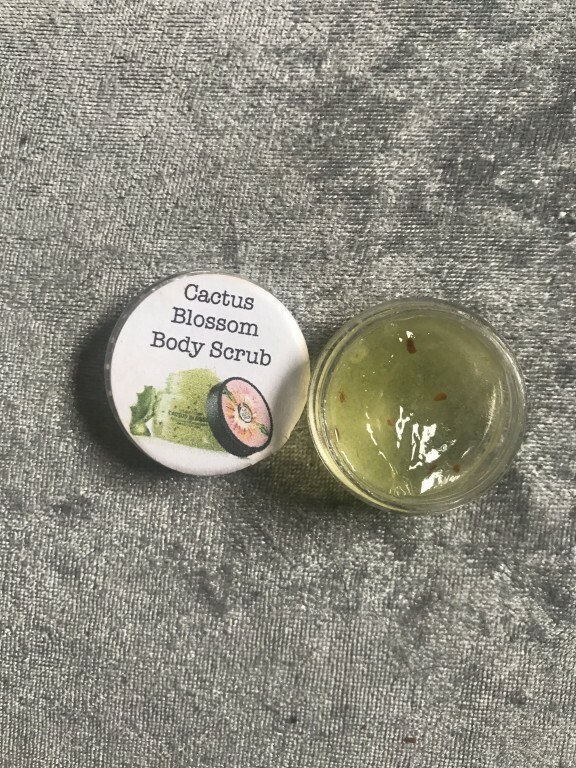 I have used it quite a few times on my body and it leaves my skin feeling so so soft. It also smells amazing and I will definitely be buying them both. It is also a lightweight formula and absorbs into your skin instantly. Enriched with cactus flower extract from Morocco and community trade organic almond milk from spain. It has an uplifting fresh, fruity-floral scent. 100% Vegan! I just want to thank Kirsty from the body shop for sending me these out to try, I absolutely loved them and I will be back for more! Check out https://www.facebook.com/groups/purebellabodyshop page if you are interested in The body shop.